Cafrida 4 best in show breeders class. Another Hearbreaker av Milkcreek, Vg. Cafridas Rhythmic Ragtime Reggae, 1 prize class 3, ready for the higest class, Elite!!!! Congrats to Mari Ann. What a job you do!! Cafridas Frolic Friendly Fannie, Exl. Another Hearbreaker av Milkcreek, Exl, nr 4 junior class. Cafridas Frolic Friendly Fannie nr 2 prog group. 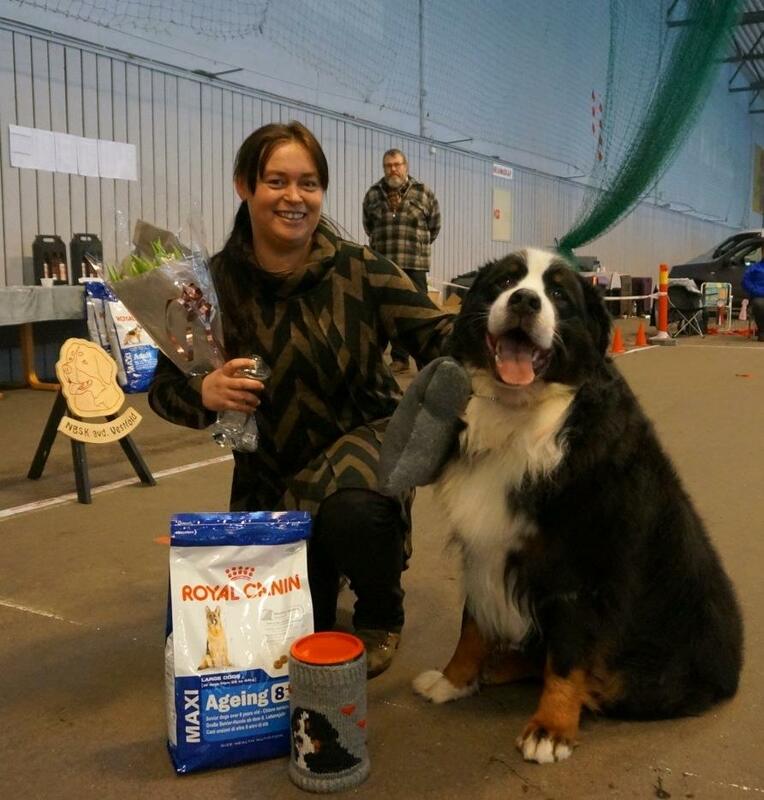 Cafridas Frolic Friendly Fannie, Best female, Best veteran, Luxembourg veteran winner 2014 Luxembourg veteran champion. 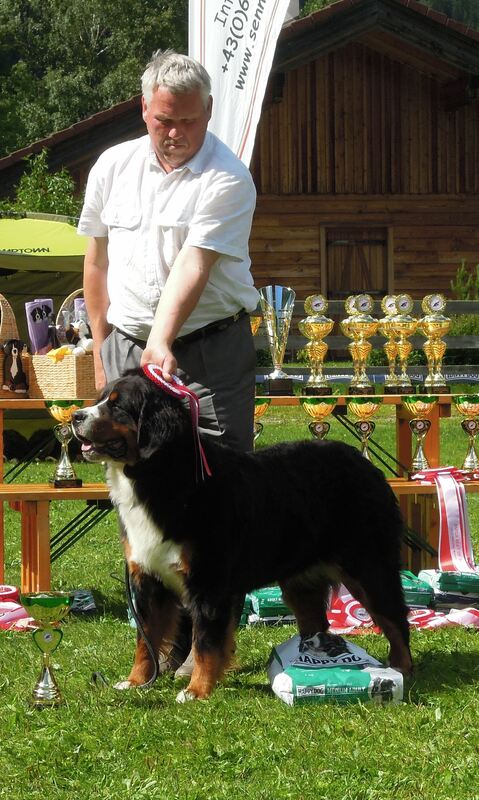 Cafridas Frolic Friendly Fannie, Best veteran, Cac, Austrian veteran champion! Cafridas Kinetic Kansas Knight, Exl, nr 3 champ. Cafridas Rhythmic Ragtime Reggae,2. prize nr 5 in the class, 152 p.
Cafridas Kinetic Kansas Knight, BOB, nr 4 in the group. Cafridas Frolic Friendly Fannie, BOB veteran, 2 best female. Cafridas Rhythmic Rexie Royal, Vg. 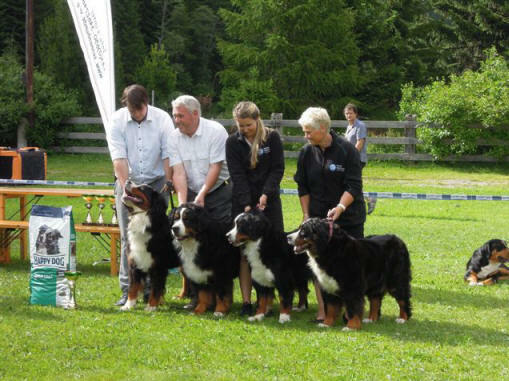 Kennel Cafrida Best in Show Breeders group! Rexie Østerisk og Ungarsk seiertittel! 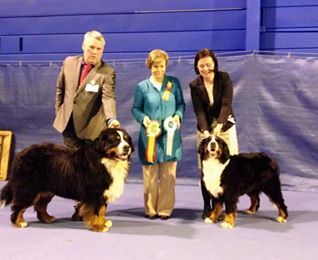 Kennel Cafrida 2. best in show breeders class. 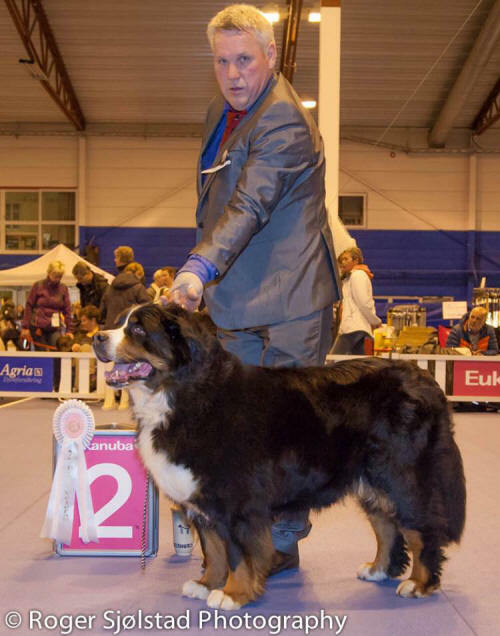 Cafridas Kinetic Keystone Kozie, Exl, nr 1 open class. Cafridas Kinetic Keystone Kozie, KIP, limping. Cafridas Pacific Prince Phoenix, Vg. Cafridas Pacific Presious Perita, Vg. Cafridas Rhythmic Rolls Royce, Exl, nr 1 open class. Cafridas Olympic Olava Oladala, BOS. 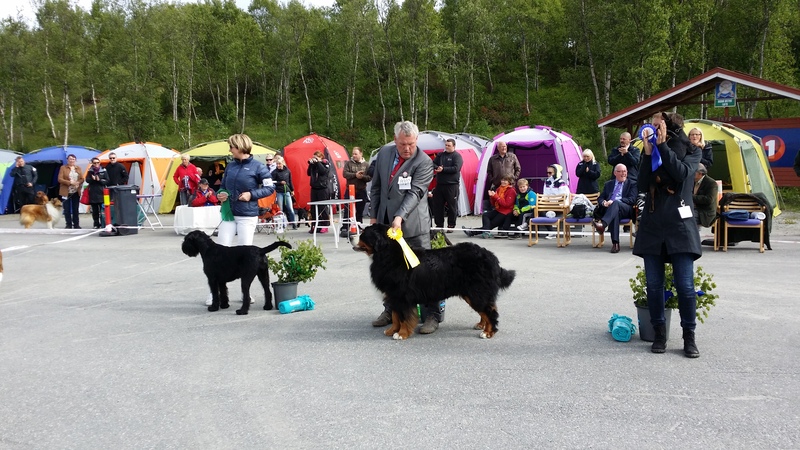 Kennel Cafrida nr 3 best in show breeders class. Another Hearbreaker av Milkcreek, BOB junior, Cac German junior champion. 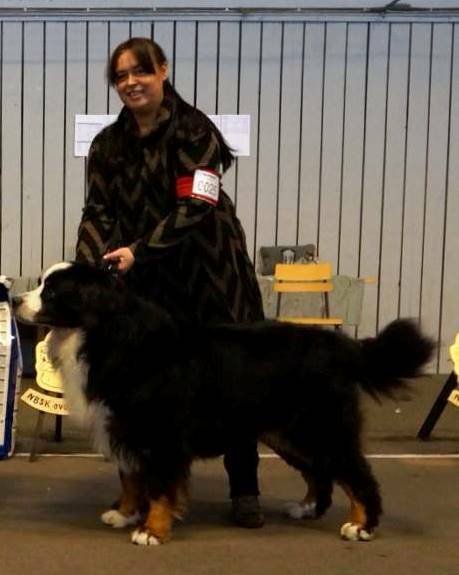 We are so proud of Falco (Cafridas Frolic Fearless Falco) and Mari Ann. 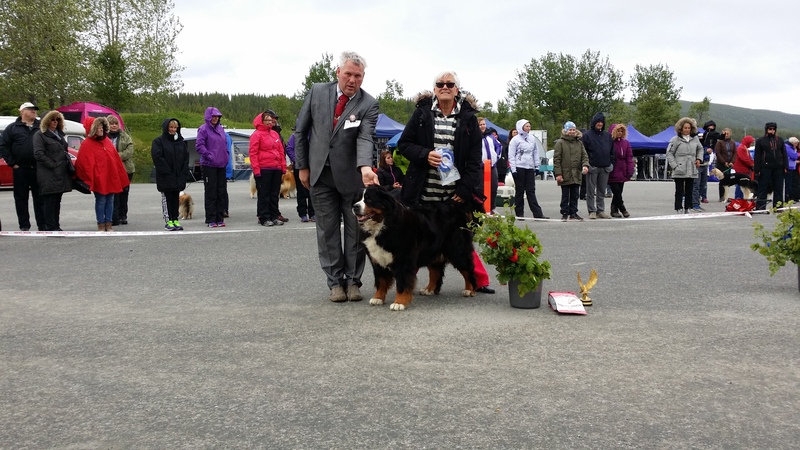 Winner of Norwegian Bernese Mountaindog club`s prize for "Versaltility -Allsidighet - " 2013. Congratulations from the bottom of our hearts! 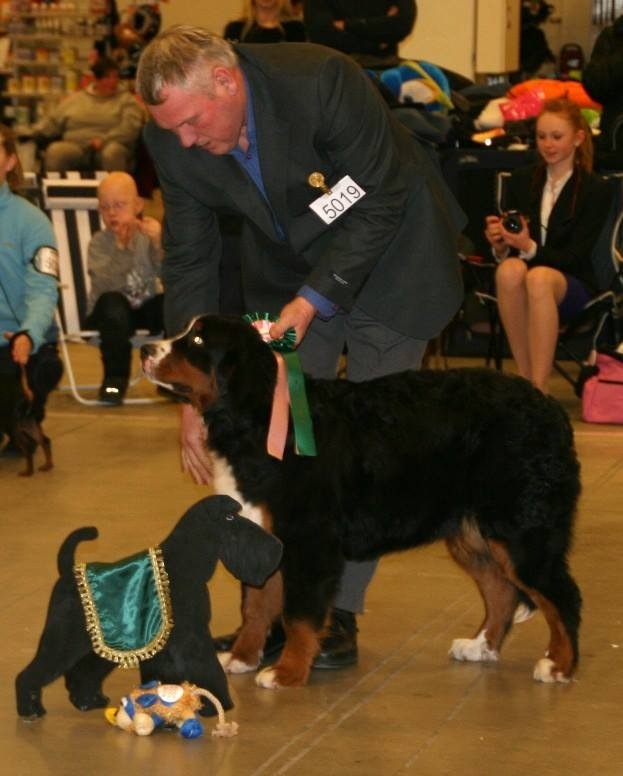 Cafridas Frolic friendly Fannie, Best of Breed veteran, Veteran Cac, 2. best in show veteran! Cafridas Rhythmic Rexie Royal, nr 3 champ class. Cafridas Olympic Olava Oladala, 2. best female. Cafridas Pacific Pennsylvania Peace, G.
Kennel Cafrida 4. 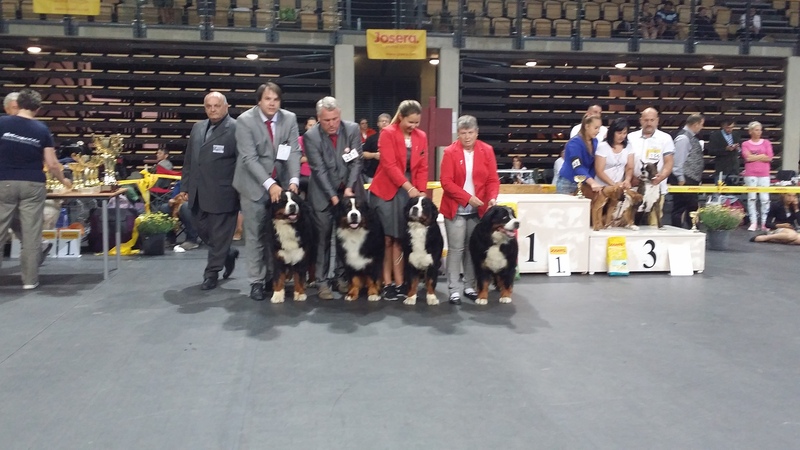 Best in show breeders class. 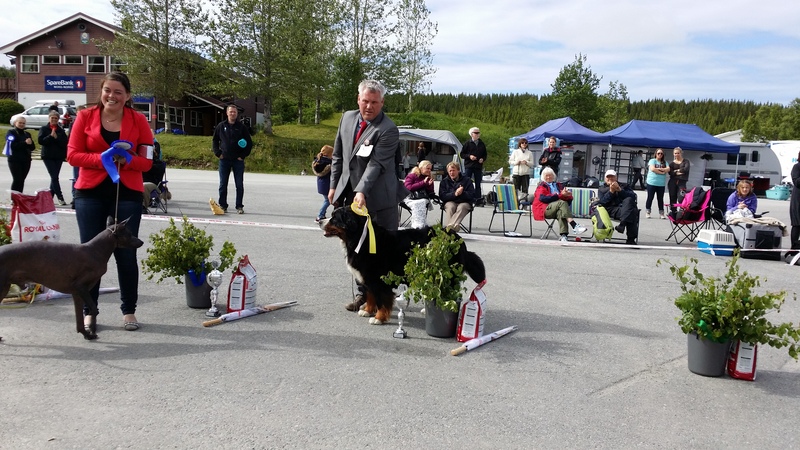 Smalmyra`s S- M Leah, VG, nr 1 champ class. Another Heartbreaker av Milkcreek, nr 2 in 6-9 mnths. Cafridas Rhythmic Ragtime Reggae, Exl, nr 2 open class. Cafridas Rhythmic Ragtime Reggae, Vg, nr 2 open class. 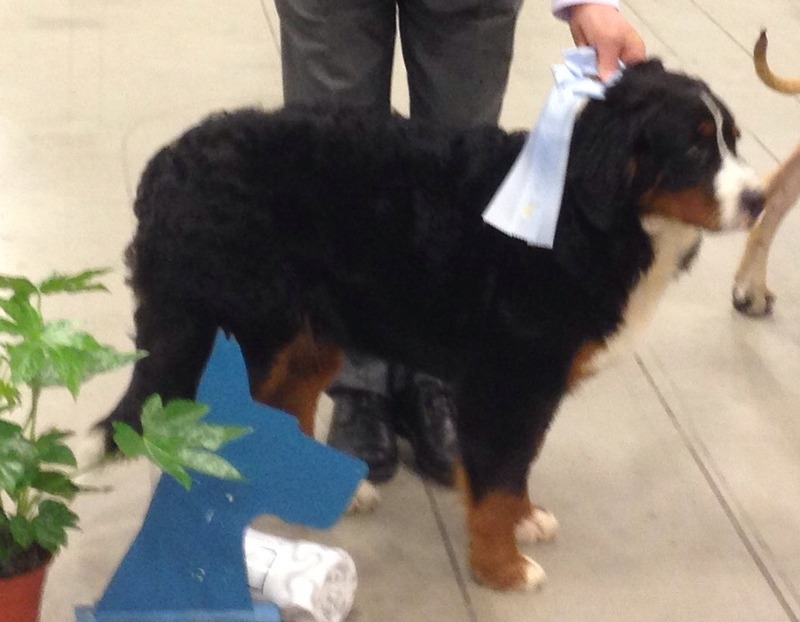 Another Heartbreaker av Milkcreek, Best in Show puppy. Another Heartbreaker av Milkcreek, Best of Breed, nr 2 in the group. 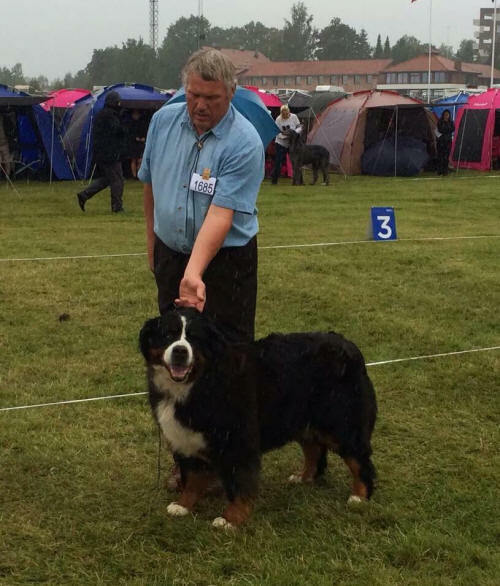 Another Heartbreaker av Milkcreek, Best of Breed, nr 4 in the group.